Hyena VS an other character from TLK:Who do Ты prefer? But I think Hyenas are underrated. Some people hate them and I don`t understand those people. The Животные I don`t like so much in The Lion King are... lions. I took the test few months назад and I`m most like Shenzi ^^ And what about you? Find out by taking the quiz! a comment was made to the poll: Shenzi или Banzai? a comment was made to the poll: Hyenas или lions? True или false? 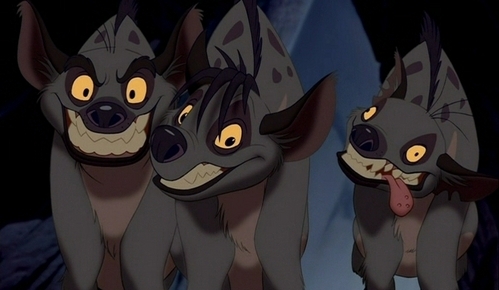 The only Дисней movie in which hyena или hyenas appear is "The Lion King" and its sequel, "Lion King 1 1/2".